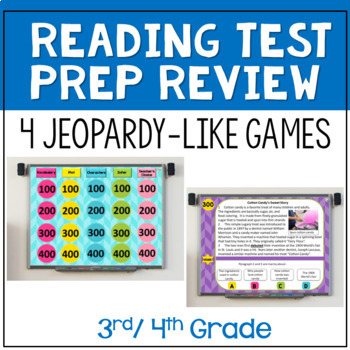 Are you looking for a fun way to do test prep with your kids? 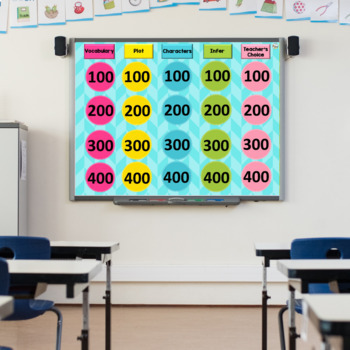 These reading review games will help your students get ready for their formal assessments or state assessment. These questions are rigorous and look like the STAAR test. This bundle will save you 25% when you buy all of these together. The categories include vocabulary, main idea & details,cause & effect, inferencing, and teacher's choice. The questions are all rigorous questions that get more difficult as you increase in value. There are 6 different passages: 2 biography and 4 expository. 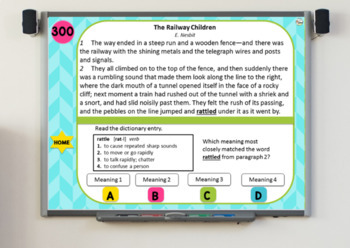 The categories include vocabulary, comprehension, structural elements, inferencing, and teacher's choice. The questions are all rigorous questions that get more difficult as you increase in value. There are separate 3rd and separate 4th grade Powerpoints. The questions are just slightly different according to the grades standards. The categories include vocabulary, poetry, fiction, expository, and teacher's choice. The questions are all rigorous questions that get more difficult as you increase in value. There are 9 different passages that include expository, fiction, and poetry. This can be done as whole group with teams or this can be done in pairs on a computer. There is an answer sheet at the end that you can print for kids to work on individually as the other groups answer the questions. 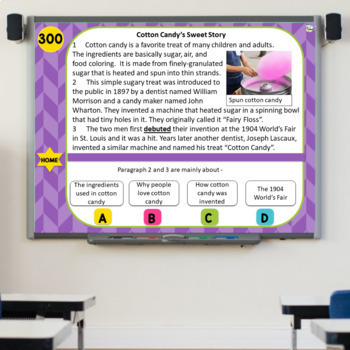 The templates are editable if you would like to change the questions. Make sure to provide feedback on every item you buy. Click on the Provide Feedback button and give a rating and comment about the product you purchased. TPT gives a credit that you can use to lower the cost of future purchases. I hope you enjoy these games!